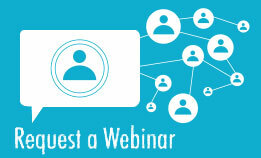 A concierge medicine conversion isn’t for everyone. Before converting, your traditional practice needs to be evaluated to determine whether it will be a good fit. This preliminary step involves several components, including reviewing patient data practice demographics and analytics. 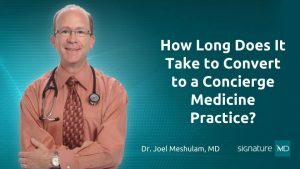 SignatureMD affiliated physician Dr. Joel Meshulam spoke to us about how long this process took during his conversion, as well as what it entailed. The process that led up to the conversion wasn’t a really lengthy one. It took several months from the initial meeting to the decision to go ahead and have Signature MD do the analytics that they do, and then have them come back with their best, middle, and worst case scenario in terms of what they thought the conversion would be – how many patients would enroll. It was only during a couple of months that that all took place, and I took a little time to process that and make the decision to go ahead. It went on, more or less, behind the scenes. I basically said, “go.” They downloaded files of patients, made some calls, did their polling of patients and their analytics. Then, they came back to me with their answers, and then I took a month or so to decide. If you are a physician considering converting your traditional practice to a concierge practice, this evaluation is the first step. We want to ensure that the conversion is a good fit for you and your patients before moving forward. Contact us to take your first step today. You can also learn more about the cost of converting to a concierge practice.